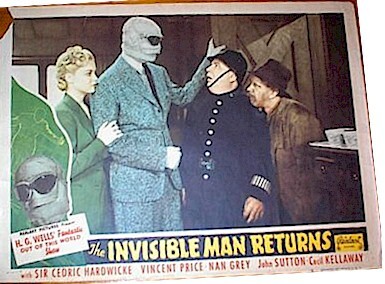 1951 - Great scene with the Invisible Man, Vincent Price. One of the few cards to include him. Small piece missing from upper left border, otherwise a stunning vintage card!